6 months 3 days ago. 12 months 2 days ago. 12 months 3 days ago. Orchestra 2001 presents "¡Conexiones!" on Cinco de Mayo as part of Mexican Week 2019! This concert features all Mexican composers and will premiere a new work, "Trascendiendo Muros" (Transcending Walls) by Francisco Cortés-Álvarez. Tickets are available now at TeatroEsperanza.us - $10 Adults / Free for under 18! Check out our concert announcement link for more info: https://mailchi.mp/4f1f94c705c2/conexiones 2 weeks 2 days ago. Just a quick reminder... Orchestra 2001 will perform music by Philadelphia-area women composers in "Women's Movement" at 2 pm today in Bala Cynwyd, PA. This performance is free and open to the public. Learn more: http://orchestra2001.org/inner.php?pageid=1464 2 months 4 weeks ago. We've announced two free programs at the end of January! Find concert information in our e-newsletter, or visit our website: orchestra2001.org. https://mailchi.mp/586fff26373d/two-free-programs-at-the-end-of-january 3 months 1 week ago. Orchestra 2001 is presenting live jazz from 5-7pm this evening, during the Holiday Art Star Pop Up Market. The market features 30 curated vendors selling unique handmade goods. Come check it out! Find more info in our e-news link: https://mailchi.mp/be50785cd75d/jazz-trio-popup 4 months 1 week ago. Join us for some music in Studio 8 at Cherry Street Pier today from 1-3 pm! Last night we featured the beautiful sounds of harpist Elizabeth Steiner. This Saturday afternoon we'll have Susan Watts, trumpet, with Rob Curto, accordion, celebrating the conclusion of Hanukkah. All Free and open to the public. Family friendly! 4 months 2 weeks ago. 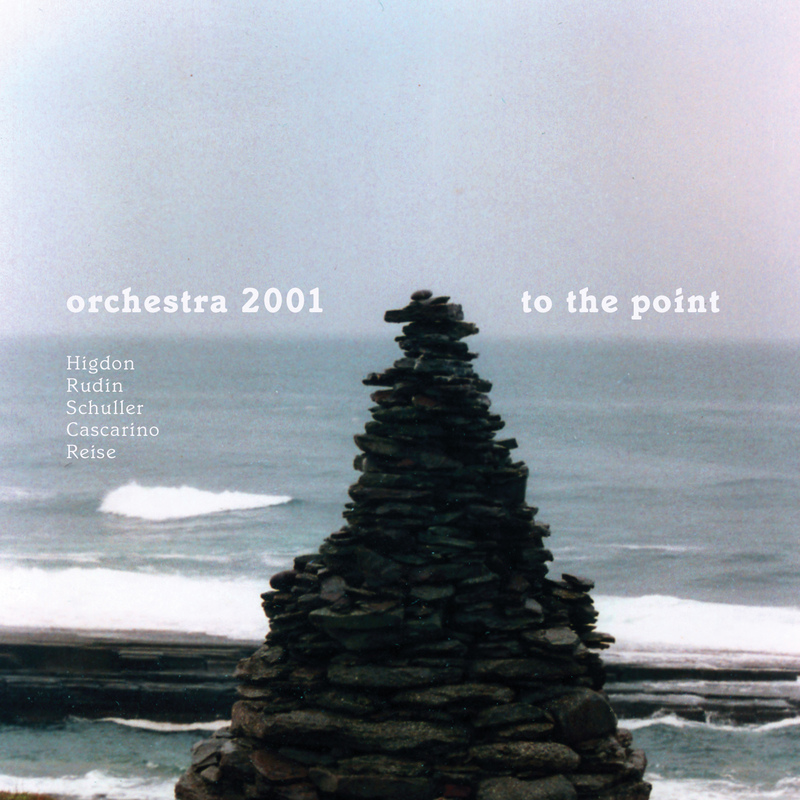 A brilliant little overture, “To the Point,” by 2010 Pulitzer Prize-winner Jennifer Higdon opens this varied and intriguing new release by Philadelphia’s award-winning ensemble, Orchestra 2001. Maria Bachmann) and Andrew Rudin (with soloist Diane Monroe), and Romeo Cascarino’s haunting paraphrase of Carl Sandburg’s poem “Grass.” Artistic Director James Freeman conducts all but the Schuller. Orchestra 2001 is one of America’s most important champions of new music. Through its concert series in Philadelphia and at Swarthmore College (where it is ensemble in residence), its previous recordings (for CRI, Albany, and Bridge Records), and its tours abroad (Russia, England, Denmark, Slovenia, and, most recently, the Salzburg Festival), Orchestra 2001 has brought new American music to countless fresh audiences. Its name pointed to the future when the ensemble was founded in 1988. With 22 years of landmark performances and recordings now behind it, the orchestra continues to provide a major focus for the best new music of our time. We think this disc - Orchestra 2001’s first with Innova Recordings - is one to be treasured, studied, and savored.